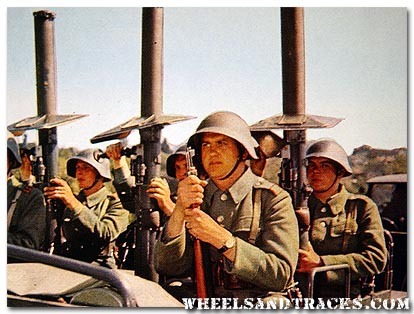 Soldiers sitting in a Willys Jeep with a BAT. 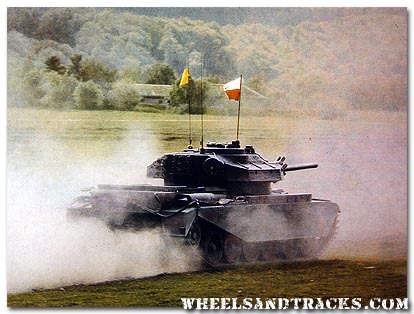 The Centurion (better known as Panzer 55/57) was the backbone of the Swiss Tank Force. 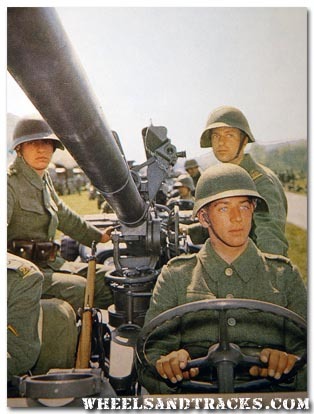 The Swiss Panzer 58 was an indigenous design and the prototype for the Panzer 61. It was powered by a V8 with 630 HP. 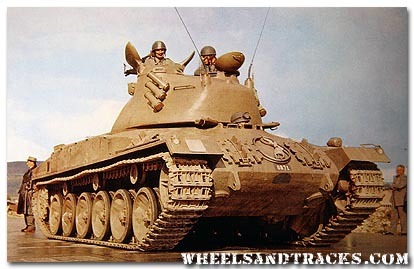 Weight was around 35t, armed with a 90mm gun. 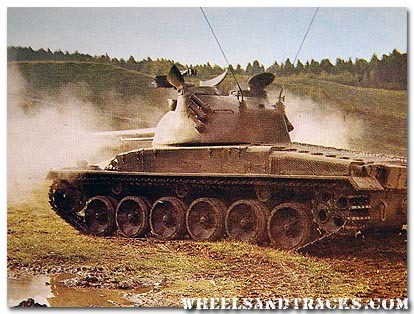 The Panzer 58 was designed, developed and built in Switzerland.